Finding the Perfect Osa Peninsula Hotels is fairly easy as all of them are surrounded by the beauty of the Osa. 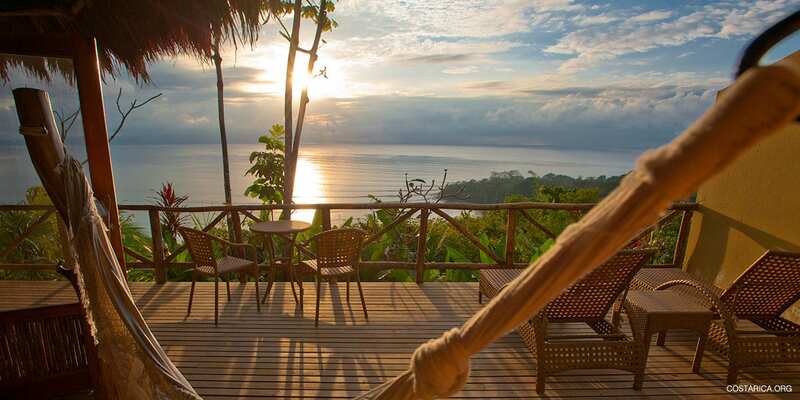 The Osa Peninsula and Southern Pacific Coast of Costa Rica is really the “last frontier”. And in our opinion one of the country’s most wild and beautiful areas. If you take the time to get to this pristine part of the country, you definitely won’t regret it! Drive down the coastal highway past Manuel Antonio and Dominical. There you’ll find the beautiful beaches of Ballena National Park. Also once you continue on to the Osa Peninsula you will find destinations such as Drake Bay, Puerto Jimenez and Golfito. This area is home to some incredible jungle lodges. It offers visitors some unforgettable wildlife experiences. In any case a visit to the Corcovado National Park, Cano Island or a whale and dolphin watching expedition are just some of the highlights here. Many of these lodges in Drake Bay and the Osa Peninsula are “all-inclusive”. Therefore they offer packages including meals, tours and transportation. Also beaches here are out of this world, including Pavones Beach Costa Rica, Drake bay, and the Golfo Dulce. Come find yourself in the Osa peninsula.